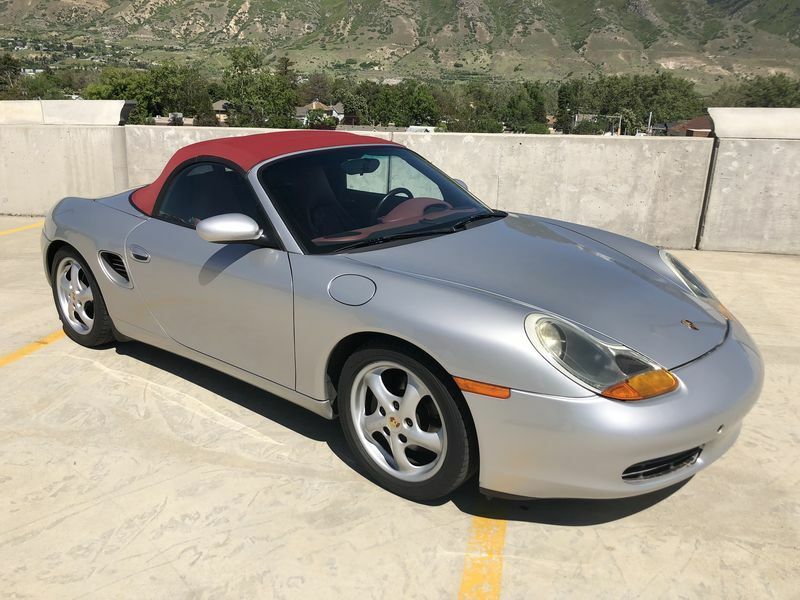 Up for sale is my treasured Boxster! I am going to try to be as detailed as possible. I am asking 6000$, and I am located in Utah. Selling to buy a car a different daily. The car drives excellent! The manual transmission is smooth, and clutch functions perfectly. She shifts with no issues and she starts up without any issues. Current mileage is 112,100. 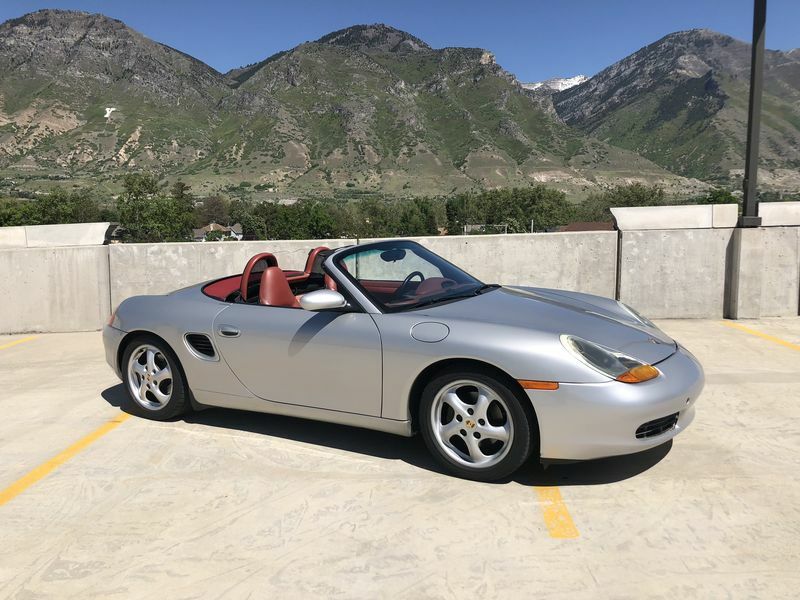 She has the Arctic Silver Exterior with the boxster red interior. And she has a BRAND NEW red soft top with the glass window. The color combo looks amazing. The interior I would rate 8 out of 10. The interior is in great shape, besides the drivers seat. You can check my detailed pictures. Other than that, the upholstery and leather dash and passenger seat are in excellent shape. 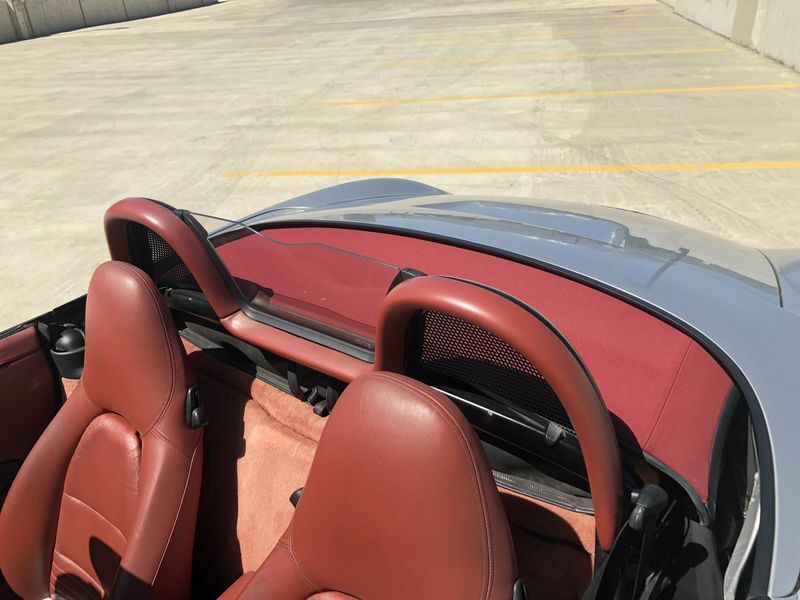 Windows roll up with no issue, and the convertible top folds down and goes up without any problems as well. AC is cold! Cruise control works! The exterior I would rate 6 out of 10. There are 2 big scratches on the bumper, and on the driver side there is clear coat damage. You can see all these in the pictures provided. 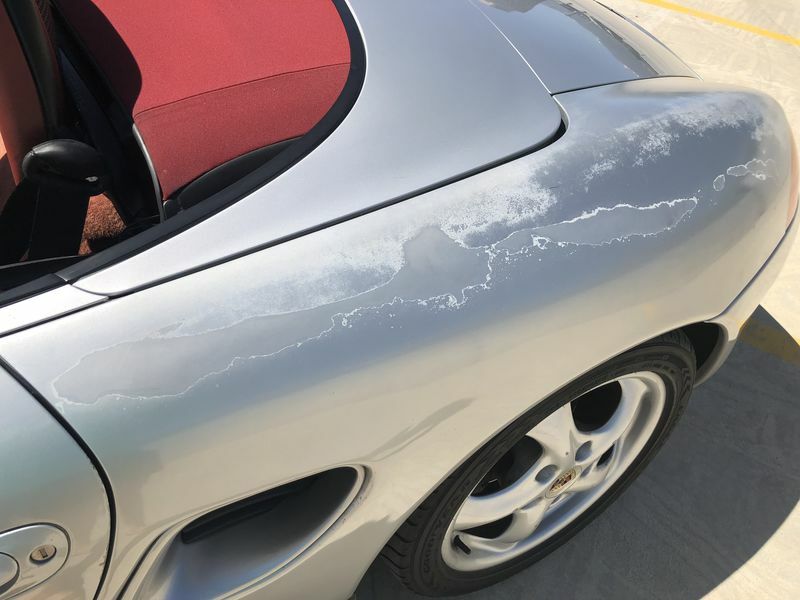 Other than the exterior clear coat damage and scratches, I would say she is a beautiful car. All in all she is a great car. She definitely has some character and is not a show car. But she drives excellent!